Pulice’s AZ region recently participated in the Arizona Construction Career Days at the Arizona Army National Guard’s Papago Park. This was Pulice’s twelfth consecutive year of participation and our fifth year as an exhibitor. The purpose of this two-day event is to promote the construction industry to the next generation of the workforce through educational and employment opportunities. 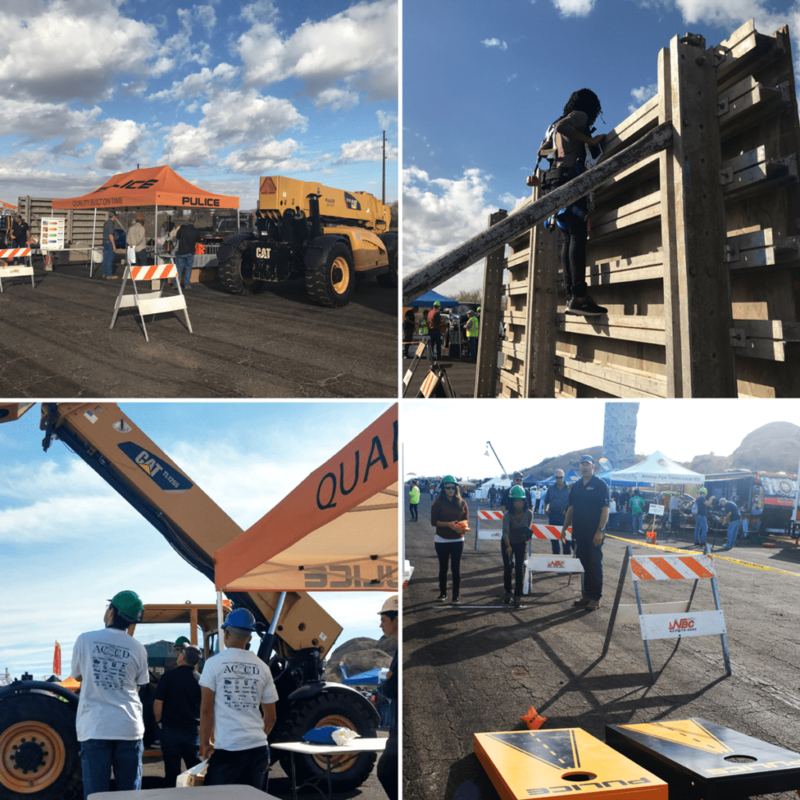 There were 1,500 students in attendance this year who were given the chance to speak one-on-one with construction professionals across several disciplines, and participate in hands-on demonstrations. This year, Pulice’s booth provided students the opportunity to experience hands-on construction activities. Students experienced how equipment operators operate the forks and extend the boom of a forklift. The Pulice exhibit space also had a 9′ wall form setup, and students suited up with a safety harness, tool bag, and equipment to climb the wall and get a sense of what our carpenters do on a daily basis. The booth also had a spinning wheel and a custom Pulice corn hole game setup, where students had the chance to win Pulice-branded prizes. It takes a team effort to put on this two-day event for the students and there were many Pulice employees who participated in the event and worked behind the scenes to make it a success. Visit http://www.azccd.com/ for more information about the event.